Effectively engaging associates spread across six different hospital locations and more than 100 physician and specialty offices is tough. 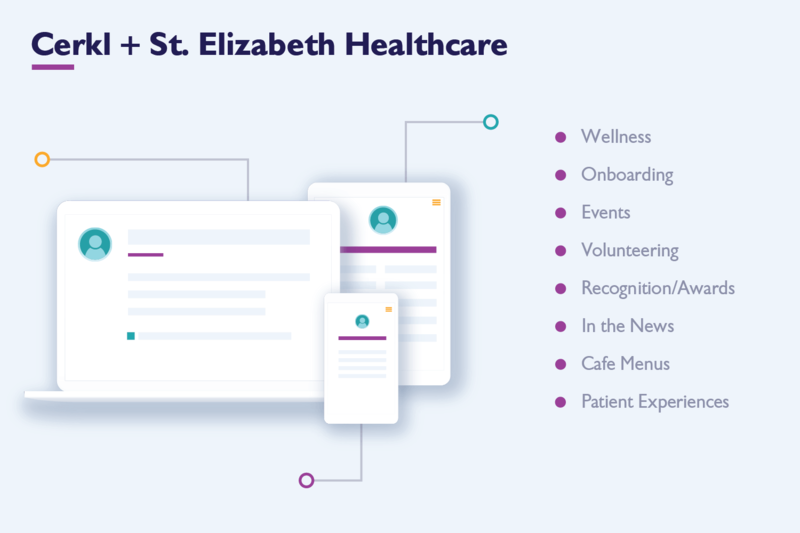 Now try engaging almost 10,000 associates, physicians and volunteers working on different shifts with tasks ranging from cafeteria staff to administration to neurosurgeon and you’ll understand the challenge that St. Elizabeth Healthcare was facing. 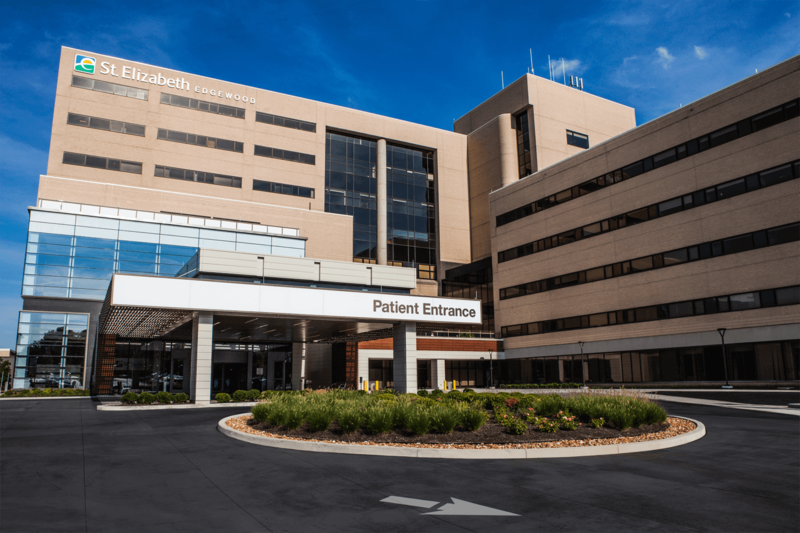 Since opening its first hospital over 155 years ago, St. Elizabeth Healthcare has cultivated deep roots in Northern Kentucky. This commitment to community was top of mind as Sarah Wice-Courtney, Director of Communications and Public Relations, assessed associate engagement. Despite big gains in patient and community engagement, associate communications were limited to a labor-intensive, twice weekly two-page PDF newsletter that largely contained corporate communications and had no tracking tool for readership data or subject relevancy. These constraints led to teams vying for the limited remaining space and associates losing interest in the content and becoming disengaged. How did St. Elizabeth take on this challenge? They realized that they couldn’t serve the same content to all associates so they decide to use the power of artificial intelligence to serve the right content to the right people at the right time. Sarah wanted to create content for St. Elizabeth that was easier for her team to produce, while also being more appealing to associates, thus resonating more with them. To help solve for this, Sarah and St. Elizabeth joined forces with Cerkl to deliver artificial intelligence (AI)-powered personalization. Sarah and her team were able to maximize content creation by both generating content with Cerkl as well as pulling content from the website using RSS feeds. Both of these sources then combine to populate the personalized automated emails that are distributed to all associates. Through this, St. Elizabeth is now able to deliver a wide variety of content that reflects the diverse interests of its associates. According to Sarah, shifting from the tight confines of the PDF newsletter has made the St. Elizabeth internal communications team “feel more like an online newsgroup.” This content is automatically distributed to staff based on their interests, position, shift, and location. For example, instead of receiving an email about parking lot repairs at a different location, an associate who is interested in wellness and gift shop offerings will receive personalized content reflecting those interests. Cerkl compiles the content Sarah and her team creates into the St. Elizabeth Healthcare Connection Content Archive. This has become the de facto intranet and has helped keep users out of email. It also exposes staff to other content that may be of interest through Cerkl’s web personalization and helps build out their interest profile so they can continually shape what content they receive. 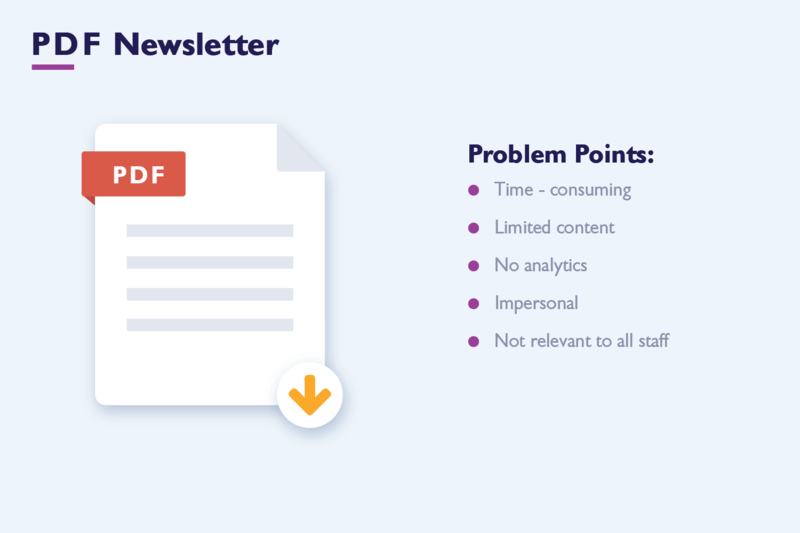 Staff have indicated to Sarah that they love the fact that A.I.-powered newsletters contain personalized and pertinent information that prevents them from spending time weeding through emails that don’t affect their position. Additionally, collaboration has increased across the organization as jostling for position in the static PDF newsletter is no longer required. Now all teams can have their stories told and automatically distributed to those who are interested or need to receive the content. 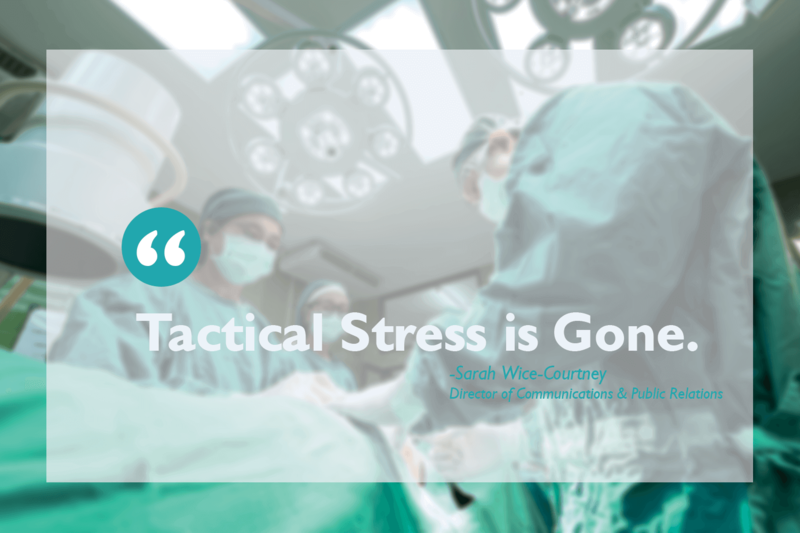 Sarah says Cerkl’s A.I.-powered content delivery has removed the tactical stress for the St. Elizabeth team. The roughly 40 hours per month spent building the static PDF newsletter are now reclaimed! Her team can now take on mission-critical tasks sooner and move the needle in truly impacting associate engagement. Sarah’s team has been able to translate this additional time to create new, engaging content and streamline their new hire onboarding process. Using Cerkl, all new associates receive a welcome email that signals the start of their onboarding and a personalized, engaging relationship with St. Elizabeth. This welcome email is then followed by engaging content that gets them up to speed earlier than the former process. Prior to utilizing Cerkl, it was difficult for St. Elizabeth to gauge the effectiveness of their associate engagement opportunities due to the lack of reliable statistics associated with a PDF newsletter. Thanks to the Insights feature, Sarah and her team now have access to a wealth of information. They are able to use the Categories dashboard to see which pieces of content are most engaging to users. 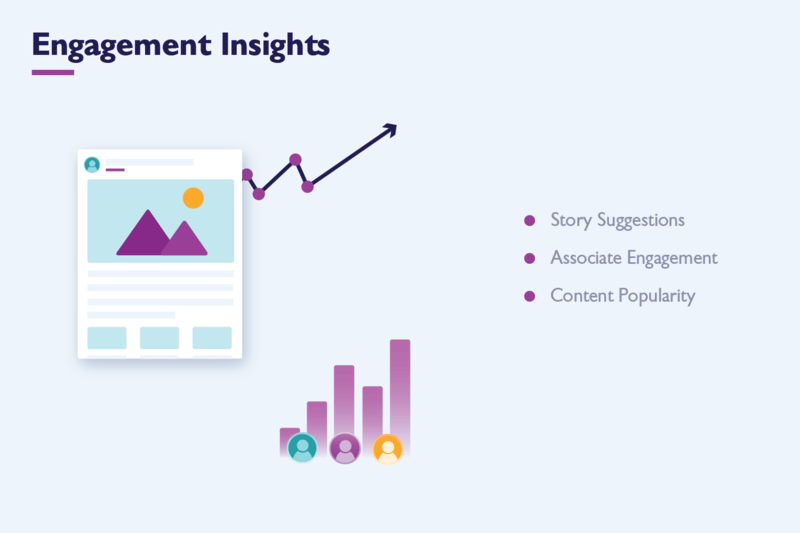 The Content Opportunities dashboard analyzes interest data to show what content they are not producing but would engage associates. This takes the guessing out of content production and allows her team focus on producing stories that inform and engage St. Elizabeth staff. Sarah says greater engagement and the flow of information is helping with associate retention. Sarah could tell that Cerkl was working just from the amount of time that she and her team had back in their day where they could focus on additional ways to increase associate engagement instead of laboring over a twice-weekly newsletter. St. Elizabeth Connection has also been a big hit with the associates receiving the newsletter. With an open rate of 88%, they are eclipsing the national average for internal newsletters of 60%. And, their click-thru rate of 30% doubles the national average of 15%.